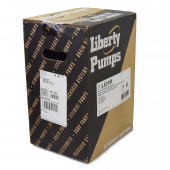 The Liberty Pump LE51M is a manual submersible sewage pump with a 1/2, 115V motor and a 10' quick-disconnect power cord. This Liberty sewage pump is capable of reaching a max flow of 112 GPM at 25' total dynamic head. This sewage pump is intended to be run using an approved liquid level control or approved motor control with a correct rating that matches motor input in full load amperes. 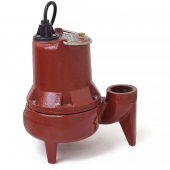 Do not let the Liberty Pump LE51M manual submersible pump run dry. 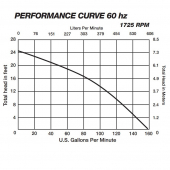 When the Liberty sewage pump shuts off, at least 6" of fluid have to be left in the basin so the impeller remains submerged. 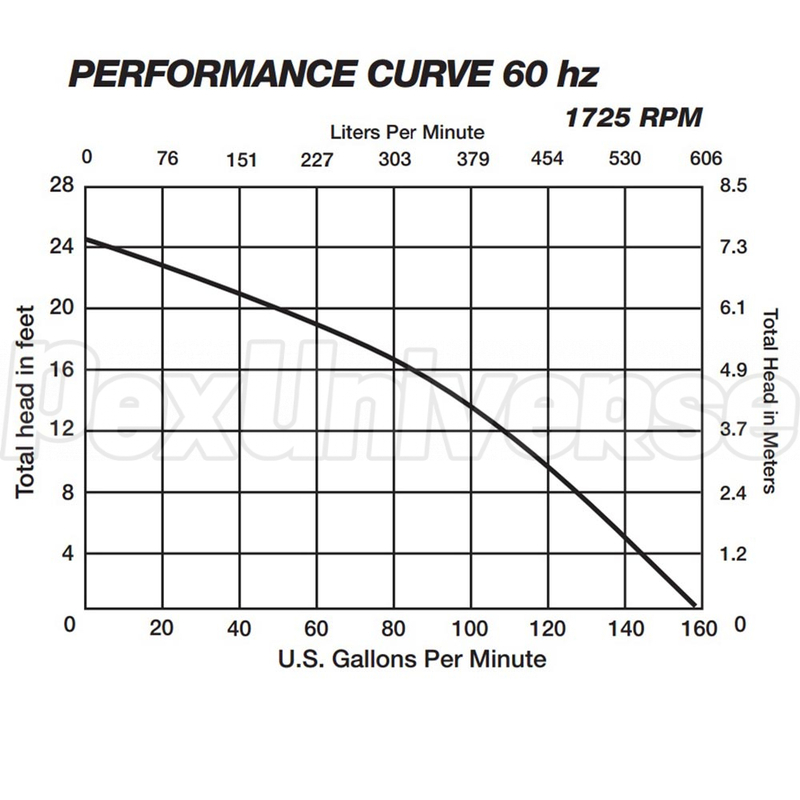 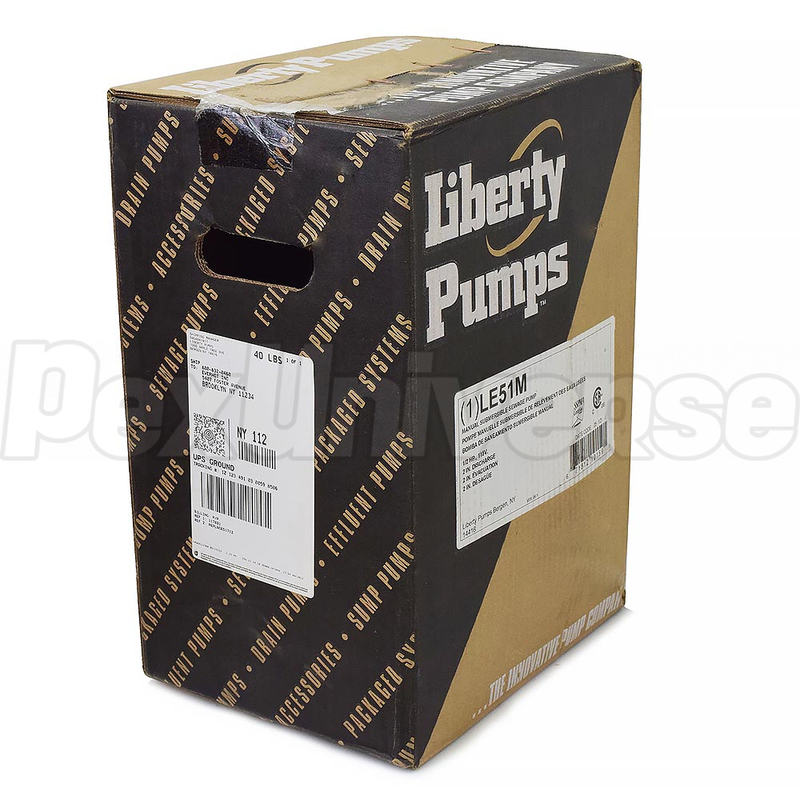 The Liberty LE51M Pump has a discharge of 2" FNPT and a shut-off head of 25'. 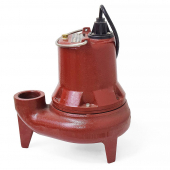 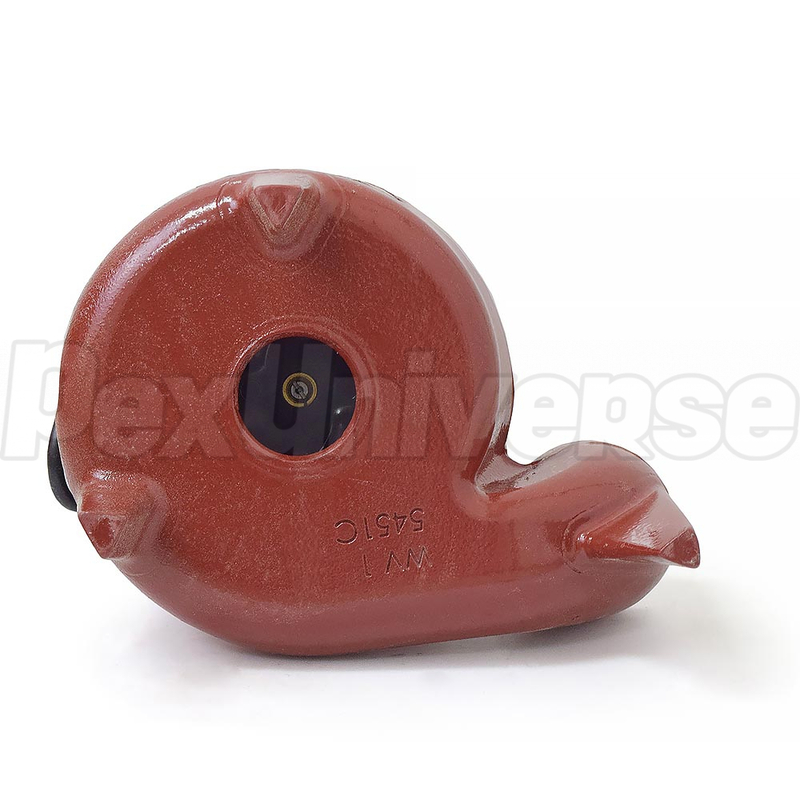 It features a 2-vane semi open impeller that allows for 2" solids handling. The Liberty sewage pump motor is oil filled and thermally protected. 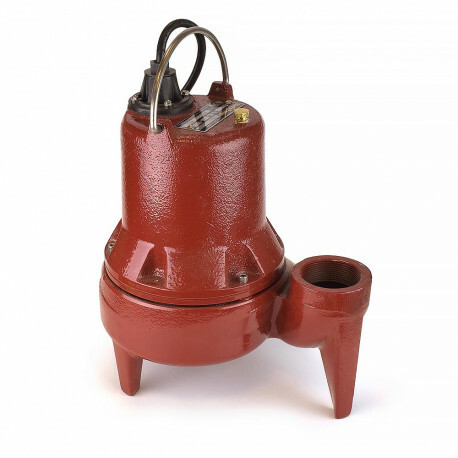 The rotor shaft is made of 416-stainless steel and is supported by lower and upper ball bearings.